Paul Bowles once said, "I never wanted a career," contempt dripping from his inflection. That he managed to leave an indelible, if modest entry in the annals of American music—a distinction desperately but vainly coveted by many better-trained, more ambitious composers—represents the triumph of a keen intelligence and an uncanny aesthetic intuition over a disdain for the concept of authority. During the late 1920s and early 1930s, Bowles studied with Aaron Copland. They worked together for a year and half in New York, Berlin and Paris before traveling to Morocco in 1931 at Gertrude Stein's suggestion. Here, under Copland's tutelage, Bowles worked on his first chamber piece, the Sonata for Oboe and Clarinet, finished later that year in Germany, and a solo-piano score not completed until 1933, Tamanar. The former displays the sort of wit and lyricism that would be hallmarks of his later musical style. By contrast, the latter shows him grappling with the dissonant avant garde severity of Copland's recent Piano Variations—providing our one glimpse of a Bowles that might have been had he sought renown as a modernist. Between 1931 and 1934, Bowles also studied with Roger Sessions, Virgil Thomson and Israel Citkowitz. Ever the reluctant student, however, he lacked the patience and discipline to continue any formal musical education and soon abandoned these studies. He never even gained solid knowledge of music's notational rules—for instance, how notes should be beamed together and, more important, how to decide whether to use sharps or flats in enharmonic passages—and, as a result, his manuscripts ever after could sometimes present a surprising appearance of musical illiteracy. Yet Bowles had a quality that cannot be taught, acutely summed up by Aaron Copland: "Paul never wrote a dull piece." Equally formative during these years of desultory apprenticeship were Bowles' travels to Guatemala, Mexico, Ceylon, southern India and the Sahara—for this rather nomadic life enabled him to explore his interest in the indigenous musical styles he encountered, fostering the use of folk rhythms and idioms in his compositions without quoting actual folk melodies. On a sojourn to Mexico in 1937, with a letter of introduction from Copland, Bowles visited the composer Silvestre Revueltas whose compositional style exerted some influence on his own. Upon returning to New York, Bowles joined a musical milieu that included Henry Brant, David Diamond, Citkowitz and other active members of the League of Composers. He now rapidly rose to prominence as a composer of incidental music for the theater. Providing material for three productions (1936-1938) by Orson Welles and John Houseman (Horse Eats Hat; Doctor Faustus and Too Much Johnson), he became New York's composer of choice for "literary" dramas by such writers as William Saroyan (the first two plays, My Heart's in the Highlands, 1939, and Love's Old Sweet Song, 1940), and Lillian Hellman (Watch on the Rhine, 1941), along with classic dramas by Shakespeare and John Ford. In subsequent years, his music accompanied Broadway productions of Giraudoux, Koestler, Werfel, Rostand, and four of Tennessee Williams' major plays, beginning with The Glass Menagerie (1944). Between his initial theater projects for Orson Welles, Bowles composed the ballet Yankee Clipper (1937), beginning an association with dance impresario Lincoln Kirstein. At this time he wrote soundtracks for documentary and experimental art films as well, and composed music under the aegis of the Work Projects Administration and the Federal Theatre Project. In 1941, Bowles began work on another commission for Kirstein: the Mexican-Indian ballet Pastorela; he also received a Guggenheim Fellowship to compose The Wind Remains, a zarzuela based on a text by Federico García Lorca. This was premiered in 1943 at the Museum of Modern Art in New York in collaboration with conductor Leonard Bernstein and choreographer and dancer Merce Cunningham. Several other Latin-inspired orchestral works followed during this period. By then, Bowles also enjoyed prominence as a music critic. Joining the staff of New York's Herald Tribune newspaper in 1942, he worked under the guidance of the senior critic, Virgil Thomson, covering jazz and folk music as well as art music while also contributing many articles on these topics to the periodical Modern Music. 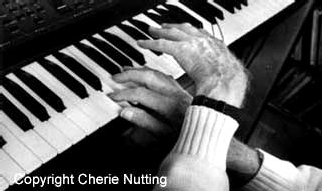 At the beginning of the post-war period, Bowles received a pair of commissions from the two-piano team of Gold and Fizdale (Arthur Gold and Robert Fizdale), who programmed some of the composer's earlier duets, and had made their own duo-piano transcriptions of several Bowles solo pieces evoking Latin-American dance. Bowles responded with two of his finest concert scores: the Concerto for Two Pianos, Winds and Percussion (1946-47), and the Sonata for Two Pianos (1947. Composing these, he revealed in his autobiography Without Stopping, gave him a welcome respite from his work in the theater, which was becoming irksome. 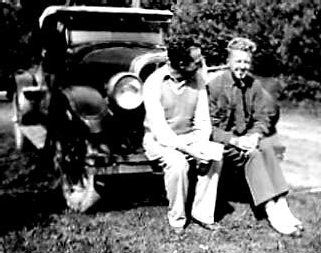 Increasingly dissatisfied, in fact, with the life of a composer of Gebrauchsmusik, Bowles departed New York permanently for Tangier, Morocco in late 1947. Although strongly inclined to concentrate on prose, leaving the world of art-music and theater music altogether, he evidently hesitated about a complete break. So, after completing his first novel, The Sheltering Sky, in May 1948, he began work on an opera, Yerma (libretto by Lorca), for the famous torch singer Libby Holman. Encouraged, however, by the remarkable success of The Sheltering Sky upon its publication in 1949, Bowles became more active as a writer and translator than as a composer, and he did not complete Yerma until 1955. Still, the collaboration with Gold and Fizdale continued, resulting in two vintage Bowles pieces: Night Waltz (1949) and A Picnic Cantata (1953). Even as prose claimed more of his attention, Bowles took pleasure in seeking out folk music of exotic regions, and in 1959 he procured a Rockefeller grant for ethnomusicological research to record traditional music throughout northern and central Morocco, which culminated in a two-LP set issued by the Library of Congress. While the main body of Bowles' musical output was completed before 1948, he sporadically composed incidental theater music in later years. This included his last two dramatic collaborations with Tennessee Williams on music for the plays (Sweet Bird of Youth, 1959, and The Milk Train Doesn't Stop Here Anymore, 1962) and nine scores for dramatic productions for The American School of Tangier, requested by the school's longtime headmaster Joseph A. McPhillips III. The first two (1966, 1969) for dramas by Sophocles and Euripides, the last for a 1997 staging of Peter Shaffer's The Royal Hunt of the Sun. Paul Bowles continued, moreover, to write songs throughout his life, setting texts in English, Spanish and French by Jane Bowles, Tennessee Williams, Gertrude Stein, Jean Cocteau, Lorca and others. Bowles' vocal works are unfailingly idiomatic. He stated that his aim was "distorting speech the least amount possible. Singing, it seems to me, should be an extension of speech." A "conversational" approach, in fact, pervades his overall compositional style, which is witty, aphoristic, economical and tuneful, evoking American jazz, Mexican dance rhythms, Spanish harmonies and Moroccan rhythms. The range of these ethnic influences is perhaps most fully represented by his piano works, which reveal him as a born miniaturist. Indeed, like many other composers who excel in songs, Bowles wrote almost exclusively in short forms. His operas are constructed as suites of songs, and his orchestral music, which tends to be at once concise and kaleidoscopic with its collage-like juxtapositions, displays little thematic development. His prose, by contrast, effortlessly encompasses extended forms—a disparity no less striking than that between the charm of his music and the mordancy of his fiction. Despite his success as a writer, Bowles always thought of himself primarily as a composer. Much of his music remained unpublished at the time of his death; nevertheless, it enjoyed a renaissance of interest during the final decade of his life, evidenced by numerous recordings and performances. 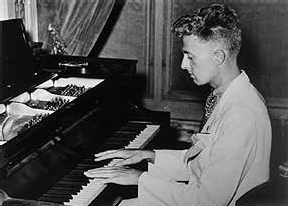 To see a list of Paul Bowles' music scores distributed by Irene Herrmann click here.